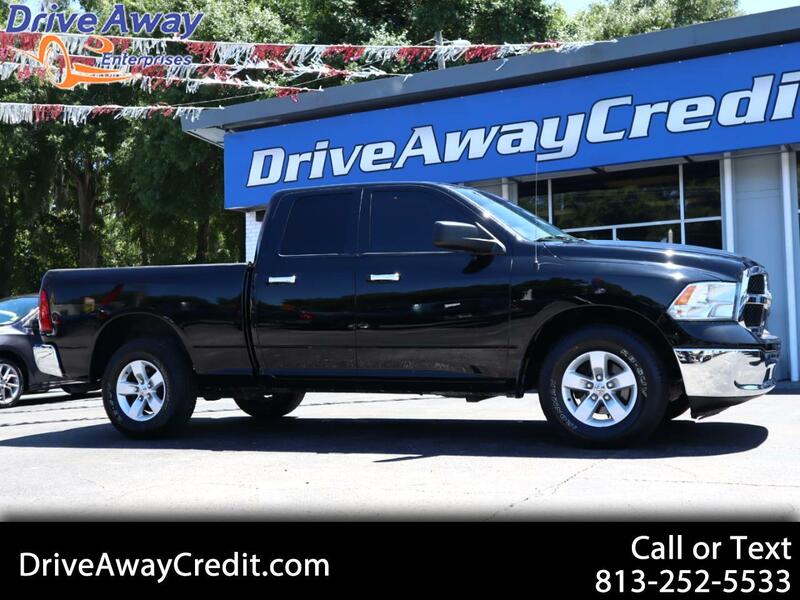 Presenting our 2015 RAM 1500 SLT Quad Cab 4X2 in Black Clear Coat. Powered by a 3.6 Liter V6 that generates 305hp while mated to a responsive 8 Speed Automatic transmission. This efficient Rear Wheel Drive team rewards you with near 25mpg on the open road, a smooth comfortable ride with superior acceleration, and colossal towing/payload capacity. You'll make a statement without saying a word when you pull up in this attractive 1500 SLT. Designed so you can work smarter, not harder, you'll also find automatic headlights, a locking tailgate, a drop in bedliner, and durable floor covering that can take some serious punishment. Inside out SLT, enjoy traveling in comfort and style with supportive seats, power accessories, a touchscreen display, and media hub with USB and audio jack.